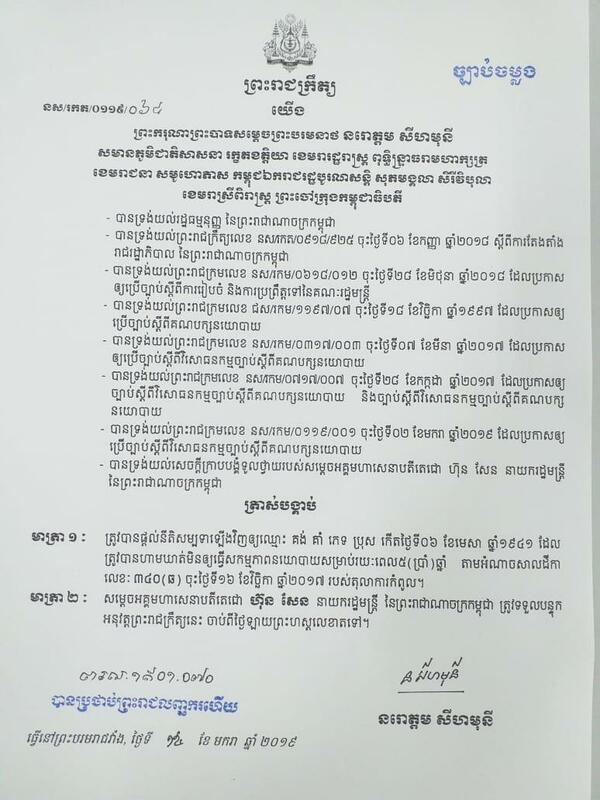 Phnom Penh (FN), Jan. 16 – Former Cambodia National Rescue Party senior official Kong Korm and its former lawmaker Kong Bora were rehabilitated by His Majesty King to re-enter politics, according to the royal decree dated 15 January 2019. 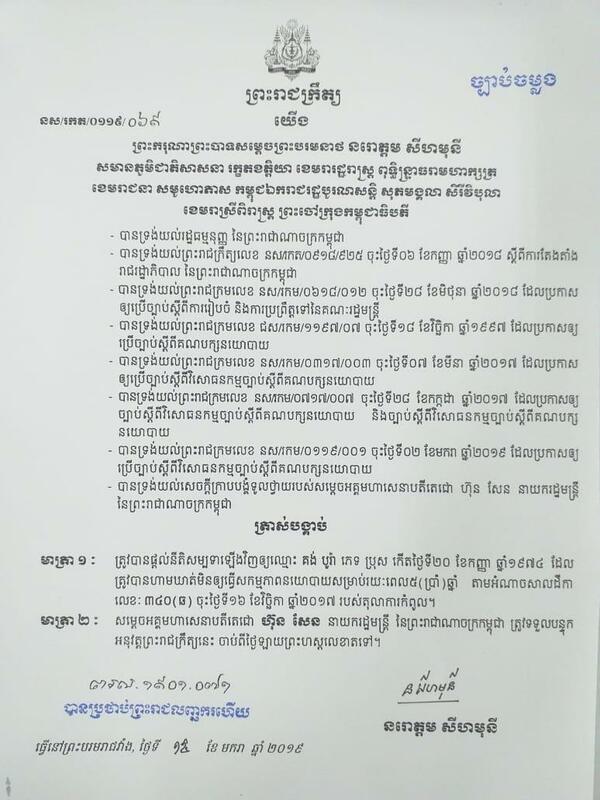 Korm and Bora submitted the request for political rights on 9 January after the amendment to political party law came into force. 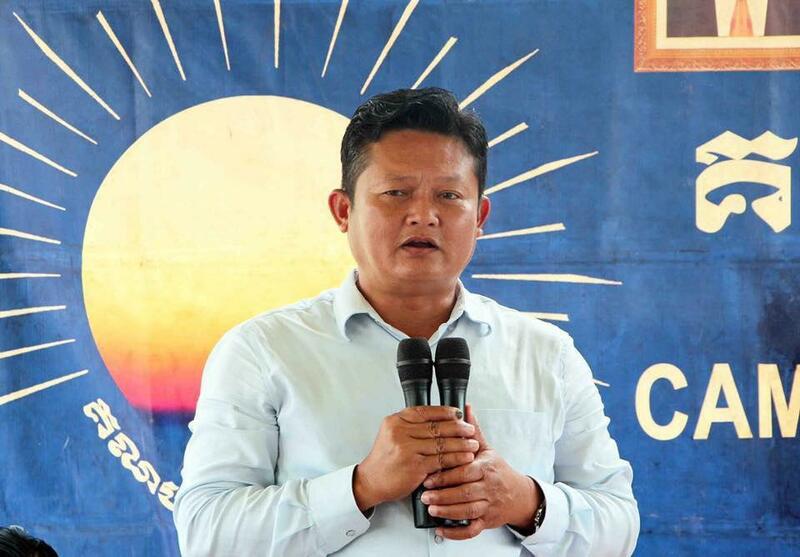 Although Sam Rainsy, former leader of the dissolved CNRP, appealed to all 118 former CNRP officials not to request for political rights, Korm and Bora still chose to do. 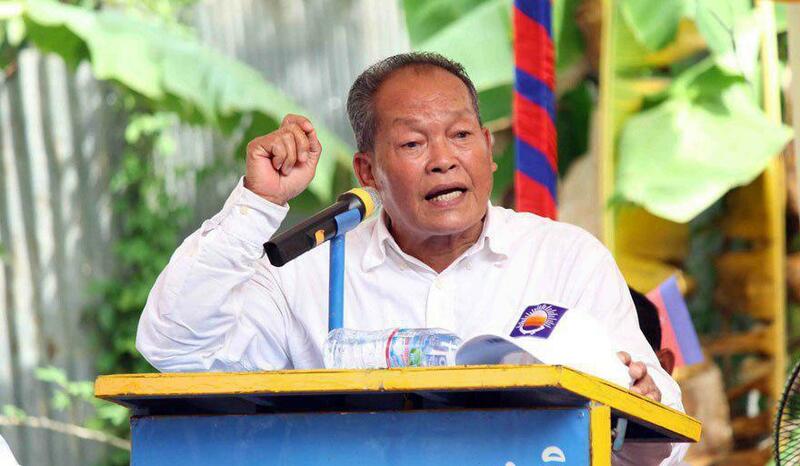 Korm, Bora, and other former CNRP officials in total of 118 were banned from engaging in political activities for five years when the Supreme Court dissolved the CNRP on 16 November 2017 for “attempting to overthrow the government through a colour revolution”.